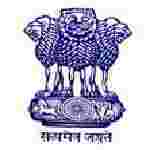 UPSC Junior Work manager recruitment 2016-17 notification apply for 280 job : Union Public service commission (UPSC) welcomes application for the position of 280 Anthropologist, junior work manager, senior scientific assistant, additional Assistant Director, senior Assistant Controller, Assistant Executive Engineer vacancies.Candidates who completed their Degree in engineering, master degree is a good opportunity.The individuals who are the occupation seekers searching for govt employments in India this is the best chance to apply. Competitors read the official notification then read all the guidelines and miners precisely then apply before the last date online application got. All the interested and eligible candidates can apply online before 28th July 2016. Academic qualification details: Candidates should have master degree in anthropologist from a recognized university or equivalent. Academic qualification details: Candidates should have degree in metallurgical engineering / mechanical engineering / leather engineering / electrical engineering / Textile engineering / civil engineering / chemical engineering from a recognized university or Master degree. Official website: All the interested and eligible candidates can apply online through official website of union public service commission www.upsconline.nic.in on or before 28th July 2016.